Van rentals, convertibles, luxury cars, SUVs and sports cars are some of the most popular & highly rented categories at the Little Rock Airport. Rent a car for Little Rock Airport in just three quick steps - search, compare, reserve! Cancel your Little Rock Airport car rental for free, up to 48 hours before the pickup time. Little Rock Airport car rental (LIT) services make it easy to commute from the airport to nearby sights and attractions. Travelers on business tour or on family trip can easily rent a car at Little Rock Airport with USA Cars rental at rock bottom prices. Select from a wide fleet of cars ranging from compact cars to luxury SUVs and Sedans. Book your car at Clinton National Airport using our user friendly booking engine in just three steps. The Little Rock National Airport is one of the largest commercial airports in the city of Arkansas which serves around 2 million people around the year. 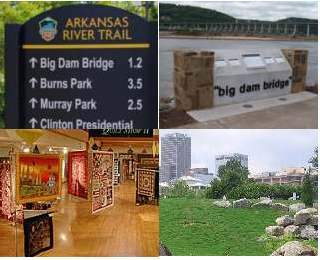 It is situated 2 miles away from the east coast of the Little Rock city in the Pulaski County in Arkansas State in United States. Massive number of passengers commutes to and from this airport from neighboring states. The airport does not run international flights directly however there are about 150 flights executing each day at the airport with a continuous jet air service to about eighteen international and national cities that act as gateway to other international airports. Airport is absolutely stunning with high end services like break away areas, custom free shops. The cafes and restaurants give you great quality food which you can enjoy as you are waiting for your flights. There is a single terminal in the airport which is a lengthy building with about 12 intermediary gates. You would find six gates in the front and three on each side of the terminal building. The circular are in the rear of the building also has six additional gates. The high end terminal is able to cater additional traffic. There are more than nineteen flights parked at the night. Another terminal would soon be constructed and it is assumed to have more than 17 gates. The Adams Field in the airport is spread across an area of about two thousand acres and it houses three runways and a single huge helipad. A car hire at Little Rock Airport is recommended to business and leisure travelers seeking easy commuting from this airport. Take I-440E and AR-161N to reach Jacksonville, 15.5 mi Airport. Sherwood is 12.6 mi from the airport and you can take I-30E. Route I-30W will lead you to Benton, which is 26.3 mi from the airport. Located 20.65 mi from the airport Route I-30 W will lead you to Bryant.